Chilling. One of the best words to describe the cases recounted in this book. These gruesome crimes seemed to hit a dead end… That is until the cases were reopened for investigation and then solved thanks to modern technologies and new investigation techniques. Cold cases are such an intriguing phenomenon that it’s easy to forget how rare they actually are. Only a few of the countless crimes committed every year become truly cold cases. The fact is that most crimes are relatively straightforward to solve, and it’s probably for this very reason that so many of us crave a real “who done it” mystery. It is the cases with random twists and unknown dimensions that capture our imagination more than any others. And if that’s indeed what brought you to this book, you can rest assured that it contains some of the most spine-chilling, eyebrow-raising, and head shaking cold cases you could ever imagine. And remember—these aren’t fictitious figments of some rabid writer’s imagination. This is real life, and real people who spent years languishing in the forensic files of investigators waiting for the day they’d see justice. 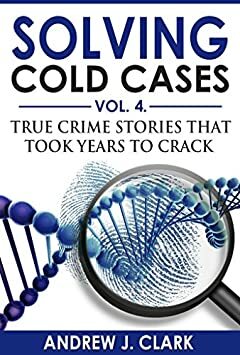 And that’s the other great thing about all of the cold cases presented in this book—each and every one of them has been solved!